Check out everybody's favorite compact SUV. 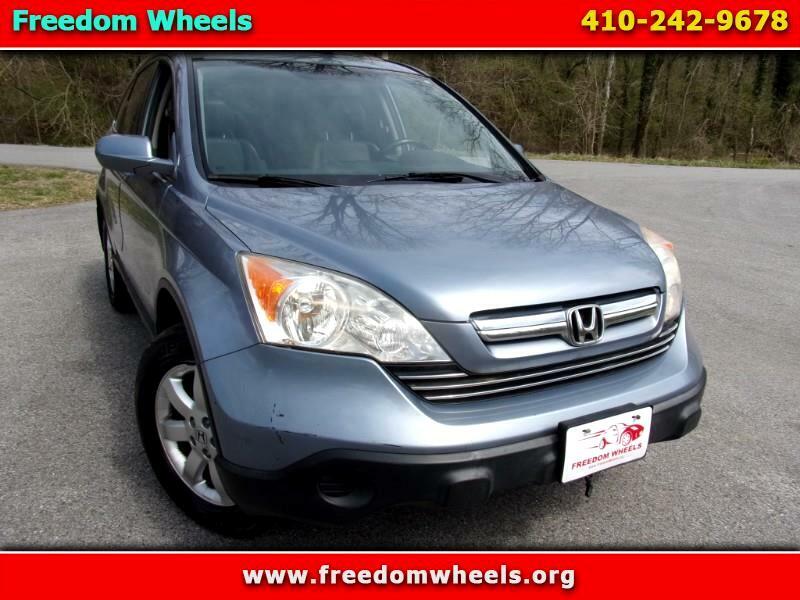 Freedom Wheels is pleased to offer this 2007 Honda CR-V EX-L four door compact SUV with front wheel drive. Even though this Honda is equipped with a 2.4 liter inline 4 cylinder motor, doesn't mean it won't get you where it's V8 brethren can. It will, and more economically! This one owner Honda CR-V shows 127,367 miles on the odometer. It drives, performs, and handles like new. Really fun to drive. An ideal vehicle for the family grocery getter or the new driver in the family. Smooth and quiet, it will seat five adults, however, four is more practical. Plenty of room in the cargo hold for a variety of tools, sports equipment or the family dog. State Inspected, SMOKEFREE, ONE OWNER, AUTOCHECK ASSURED with NO ACCIDENT HISTORY. Freedom wheels exceptionally fair price is only $6,895. Call 410.242.9678 for more information or to schedule a test drive. Sales tax and registration additional.